Beechwood Manor on 12 September 1978, with the private bridge of Edward Ross J.P., Secretary of the M.S.L. still visible. Many of you will recognise this imposing stone house, Beechwood, which is at the top of Lakes Road leading down to the Roman Lakes. However, why was such a fine house built so near to Oldknow’s workers cottages at Stone Row and who lived in it? Documents in the Archives and the census returns can answer some of these questions and provide a fascinating insight into the lives of those who lived there over one hundred years ago. The 1871 census records Edward and his family living at 178 Stockport Road, Ardwick in Manchester, not far from London Road Station, now known as Piccadilly. Edward and his first wife Elizabeth were living in Manchester prior to 1861 as their eldest child, Augustine, was born there two years earlier. Edward’s wife Elizabeth died in 1873 and by 1881 Edward, his children and four servants were living at Beechwood. Interestingly, the house is recorded in the census as “Rock Cottage.” Edward had a private footpath from his house to Marple station. The private bridge over the road, accessed from an upper floor of the house can be seen in the photograph of the house. The footpath passed over the south tunnel portal and led to steps down to the ground by the rail tracks on the line to New Mills. There were further steps up to Brabyns Brow where Edward could access the line to Manchester. The footpath saved him walking or being driven to the station by his coachman via St Martin’s Road. Remember, this was before Arkwright Road was built. Traces of the footpath can still be seen. The house is still shown as “Rock Cottage in the1891 census by which time Edward has married his second wife, Teresa. Later that year Edward had a severe attack of influenza. Given two months leave from January 1892, Edward and Teresa went to the south of France where he died in Cannes on the 16th March 1892. Edward was a devout Roman Catholic, highly respected by local people, and he often gave coal and food to the needy at Christmas. He also gave many gifts to beautify St Mary’s R.C. church in Marple Bridge where he was buried. There is a wonderful monument to his memory in St Mary’s Churchyard. An intriguing story is related in “New Mills and the Edith Nesbit Connection” by Barbara Matthews (published by New Mills History Society). The book builds a case that Edith Nesbitt set her story ‘The Railway Children’ in the area around Strines. Part of her argument is that Edward Ross was the inspiration for the character of the ‘Old Gentleman’ who gave the children food when their mother was ill. In the 1901 census, for the first time, the house is called “Beechwood.” There are only two occupants, Mary Walker age 45 born in Ludworth and her sister Elizabeth Rowland, a widow, aged 56, born in Preston. Both ladies are listed as “caretaker at Beechwood”. Shortly after the 1901 census, James Wilson Southern moved to Beechwood with his wife Mary and daughter Dorothy. An important Manchester businessman and ‘city father,’ James was born in Manchester in 1840, the son of a ‘chest maker.’ By 1861 he was working for the family business of timber merchants and importers. At the same time, he was also a Sunday school and night school teacher. Elected to Manchester City Council in 1877, he achieved the title of Alderman. James married three times and had five daughters and one son. His business thrived and he took on many roles including being the Council’s appointed director of the Manchester Ship Canal. As Chairman of the Free Libraries Committee, he presided over the creation of the network of branch libraries around the city, which gave many people access to books. In the 1890s, he spoke with pride of Manchester’s library system, with more than a million book issues per year, second only to Boston USA. By 1906 James was chronically ill and he never recovered good health. In 1907 he was awarded the Freedom of the City of Manchester and in the same year a knighthood was conferred on him. Sir James died on the 9th January 1909. His son and grandson continued to run the family business for many years. In 1975, following a number of changes it merged with Yorkshire based company Magnet to become Magnet and Southerns. A few months after her father’s death, on the 7th April 1909, Dorothy, his youngest daughter, married John Campbell Grey at the Congregational Church in Marple Bridge. At the time of their marriage, Dorothy was still living at Beechwood. 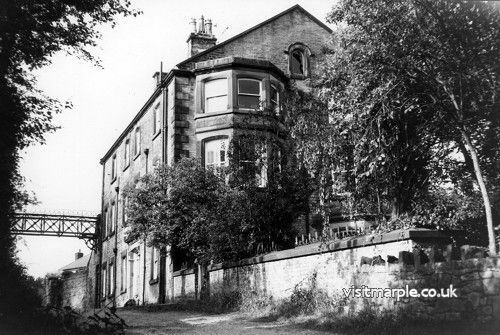 John was living with his uncle, Peter Campbell, at Glengoyt, Strines, a large red brick house on the hillside above the print works, which can still be seen today. In 1912, John succeeded his uncle as Manager of Strines Print Works. Dorothy and John lived at “The Cottage” close to the print works. The 1911 census was taken on the 5th April when Beechwood was the home of Robert Barker, age 45, a cotton spinner and manufacturer, his second wife Mary, age 29 and his daughter Grace, age 18 together with three servants. Robert and his family lived there for only a few years. For the first time, the census recorded the number of rooms in each property – in this case 16 “including kitchen but not scullery, lobby, closet, bathroom nor washhouse or office/shop.” Sadly, it does not give a fuller description of the 16 rooms. Like Edward Ross and Sir James Southern, Robert was not born and bred in Marple nor was his cotton mill near here. Born in Walsden, Lancashire in 1866, he was the second son of Luke and Sarah Barker. Luke rose from relatively humble origins to become a successful cotton spinner and manufacturer in Todmorden on the Yorkshire/Lancashire border. In the 1881 census, Robert and his elder brother John were both working - Robert as a book-keeper and John as a mechanic. Perhaps they were both learning the family business ‘from the bottom’. 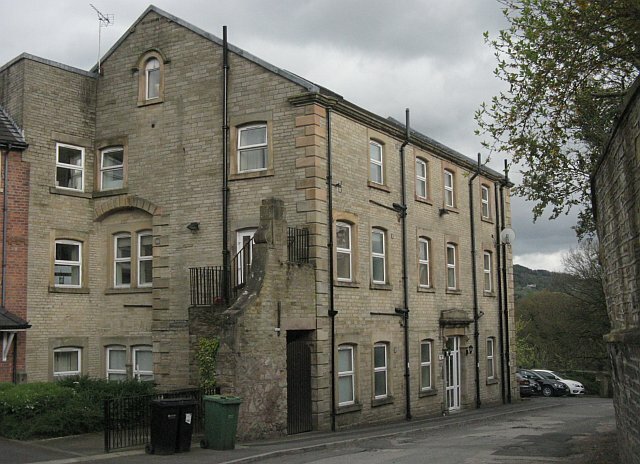 By 1890 Luke Barker and Sons employed over 600 employees and the family had moved into Stansfield Hall, Todmorden. John and Robert worked for their father and later took over the business but it was John who moved into Stansfield Hall with his family and would seem to have been responsible for the later management of the firm. In 1891 Robert married Kate Fielden, daughter of Samuel Fielden of Stansfield House, an equally successful first-generation entrepreneur. In 1893 she bore him a daughter, Grace, who was later tutored by Mary Walder, daughter of a Moravian missionary in Jamaica. (link to Moravian Church, Mizpah Manchester) In 1901 the family lived in Blackpool and Robert is described as a cotton spinner and manufacturer. Sadly, Kate died in April 1901 aged only 34. In 1904 Robert married his daughter’s governess, Mary Walder, at St James the Less church, Tatham, where his sister was married to the rector. 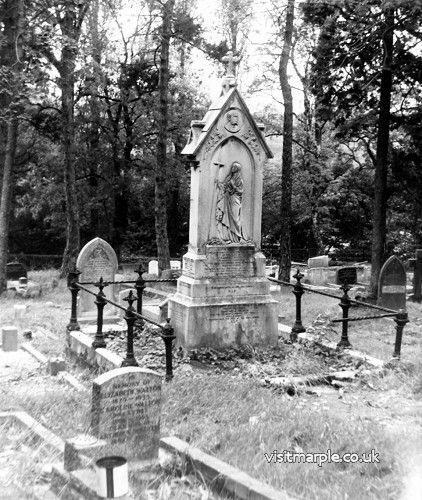 Robert became ill and he died at Beechwood on the 9th October 1912 aged 47. After his death, Mary and Grace paid for a memorial window in St James the Less church, Tatham. Interestingly, Grace maintained a connection with Marple and in a letter refers to having worked at Brabyns Hospital early in WW1. Later she worked at a convalescent home near Tatham. We will have to wait another four years to find out who was living at Beechwood in 1921. It is the Government’s intention to release the 1921 census in 2022 in accordance with the non-statutory 100 years rule, which was adopted to reflect this undertaking of confidentiality. Later Beechwood became a restaurant and my sister, Lynda Jenkins, recalls being told that the owner used to wear a ball gown to greet her guests! After that it was a care home, before being converted into apartments. With thanks to Dr Rosemary Taylor, Strines. Dr Mike Winstanley Secretary, Tatham History Society (North Lancs). Photographs of Robert and Grace Barker reproduced courtesy of Chetham’s Library, Manchester.